It has been confirmed that AMD launches the Trinity A-Series APUs on October 1st, In addition to the APU’s, AMD would also launch the Athlon II X4 CPUs based on Piledriver x86 architecture compatible with FM2 socket motherboards a few of which we have covered today. The Trinity A-Series processors would be supported by the latest FM2 socket motherboards based on the AMD A55, A75 and A85X chipsets. The new Trinity APUs would be based on the Piledriver x86 architecture which we had previously detailed in our article here. In addition to these, AMD would also launch three new Athlon II X4 CPUs based on the Piledriver x86 architecture. First details on these CPUs were leaked by Gigabyte although we now have some additional information on them. The Athlon X4 CPUs would be compatible with the FM2 socket boards, Each model would have four cores, 4MB of L2 Cache and would support Dual channel DDR3 @ 1866MHz. The top unlocked model Athlon X4 750K would have a TDP of 100W whereas the other two would have 65W TDP. The models would allow PCIe 2.1 compatibility offering 24 lanes. AMD’s FM2 socket motherboards from manufacturer Biostar and Gigabyte have also been detailed. 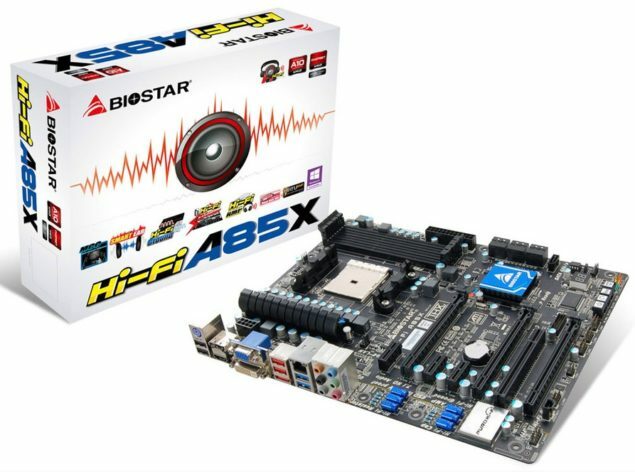 Biostar’s Hi-Fi A85X would be based on the A85X chipset and feature a 10 Phase Power Supply which would power the APU/CPU. Expansion slots include 3 PCI-e x16 (electrical: x16/x8/x1), 3 PCI-e x1 and a single PCI slot. Storage options include 7+1 (eSATA) Sata III and four USB 3 ports. Audio and Wireless are handled by the Realtek controllers. 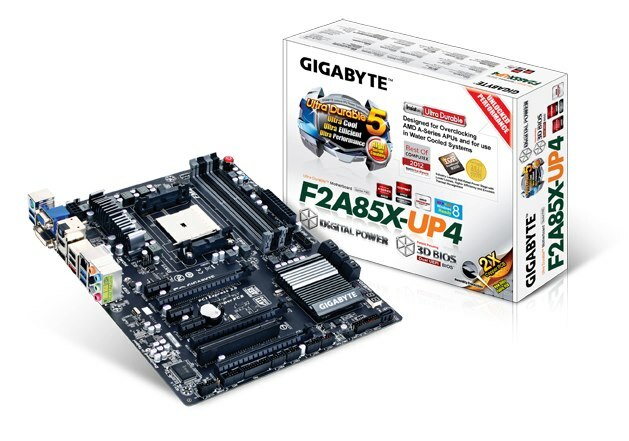 Gigabyte has also unveiled its latest FM2 socket motherboard known as the F2A85X-UP4. Based on the A85X chipset, the new motherboard has a 6+2 Phase VRM offering an Ultra Durable 5 design with high quality components. Expansion slots include 3 PCI-e x16 (electrical: x16/x8/x1), 3 PCI-e x1 and a single PCI slot. The motherboard supports upto 32GB of DD3 memory rated at 2400MHz+. For storage there are 6 SATA III ports and 4 USB 3 ports while I/O includes DVI, D-Sub, HDMI, and DisplayPort, 8+2 channel HD audio, gigabit Ethernet, and keyboard/mouse combination PS/2 connector. AMD also showcased its Flagship Vishera FX-8350 and Trinity A10-5800K at a booth near IDF which shows that the high end AM3+ chips are also headed for launch next month in between 17-18th October.